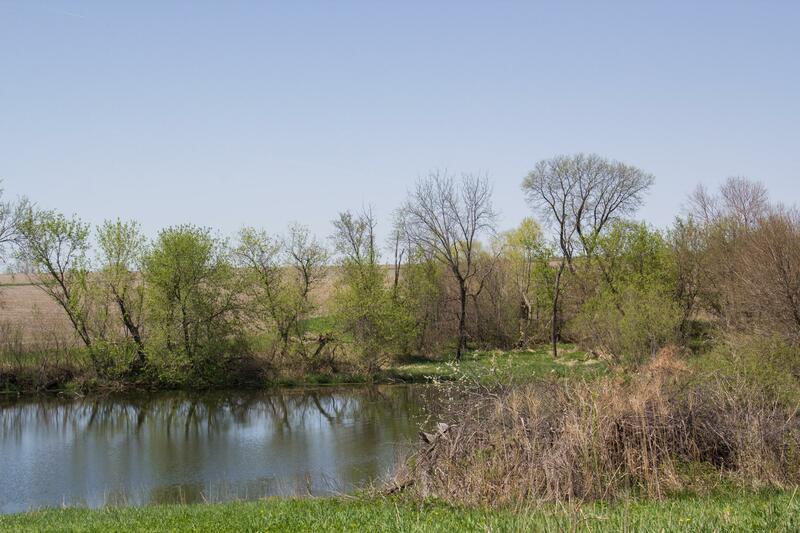 This old cattle lot at Carney Family Farms is partially surrounded by a swale, the visible ridge intended to direct the flow of water. Small orange flags indicate where Bruce Carney will plant fruit trees. 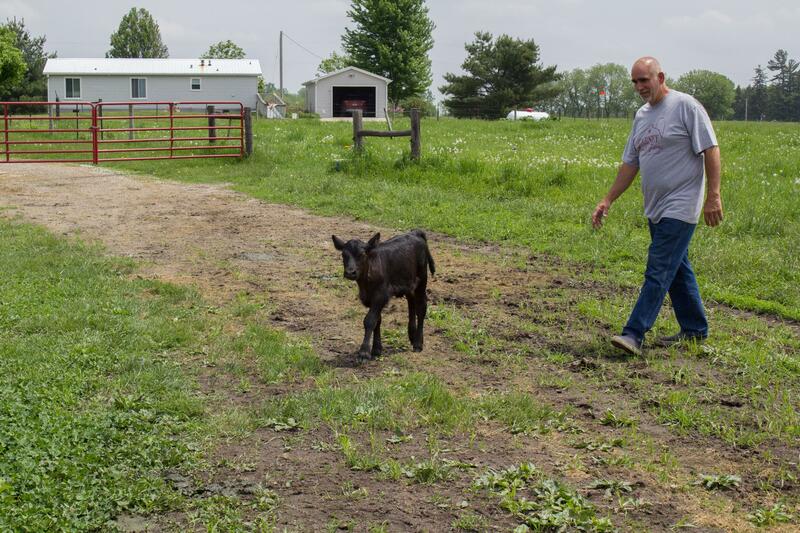 Bruce Carney herds a calf back toward its mother on his farm near Maxwell, Iowa. 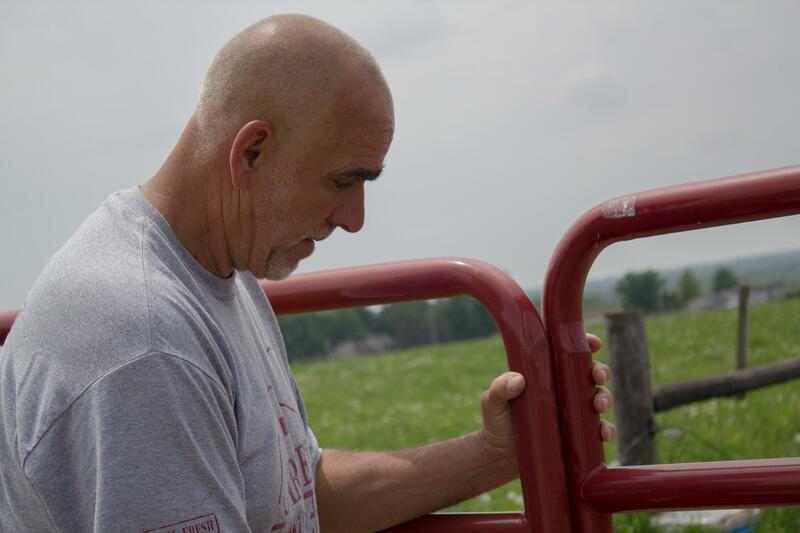 Bruce Carney secures a gate to keep his cattle away from the saplings he has planted near their pasture area. The forest area shown on the edge of Ione Cleverly's field has been thinned out. 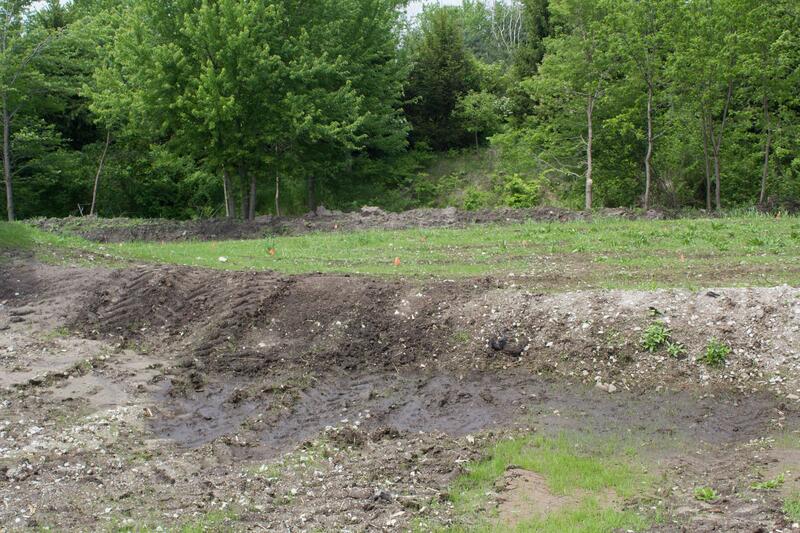 The cleared area will be planted with saplings and a buffer strip of prairie grasses will separate crop ground from the forested area. 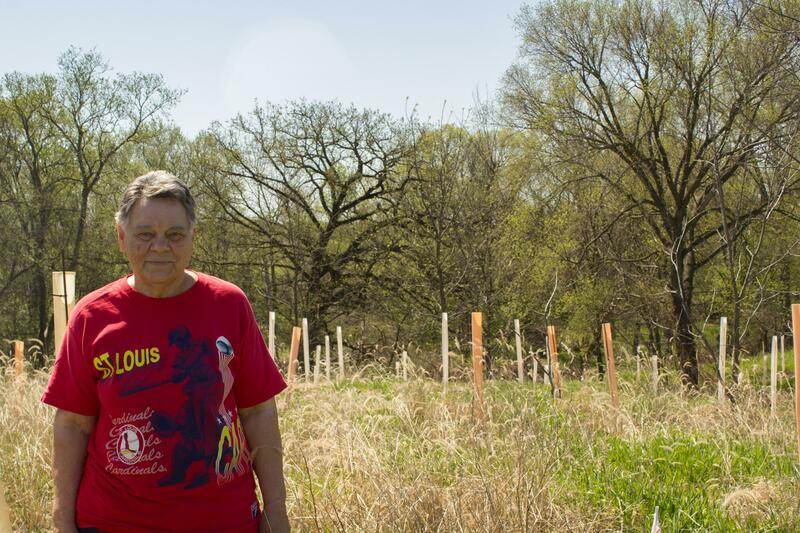 Now that she's retired from farming, Ione Cleverly's priority is increasing conservation measures on her land, including planting new trees. 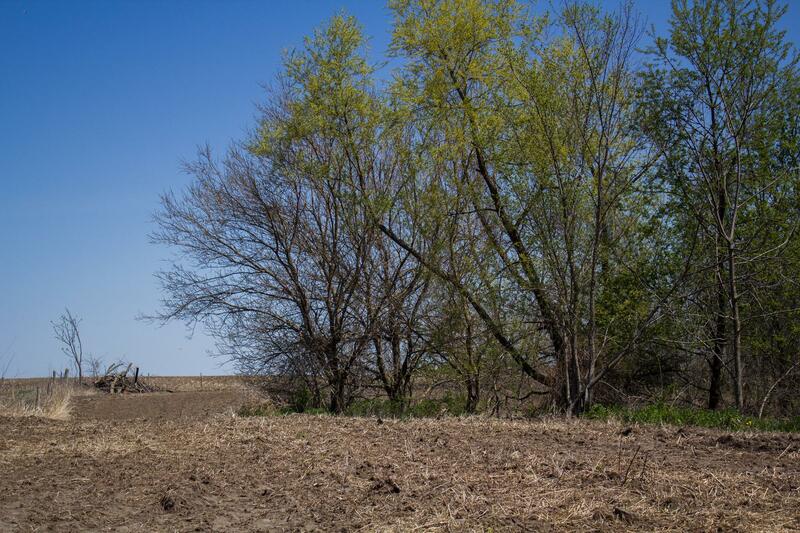 From the opposite side of the creek, Ione Cleverly's woods are visible, showing the crop field behind in early May.